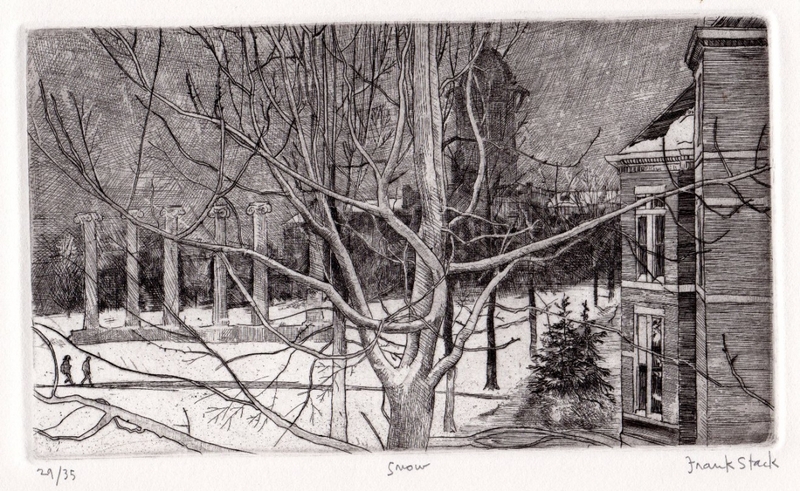 This original hand-pulled etching represents a winter scene on the University of Missouri campus. Snow covers the quadrangle, the columns are beautifully captured and Jesse Hall is in the background. Using the old master technique of etching, the artist repesents the form with a linear series of hatched and cross hatched lines. This etching comes from a limited edition of 35 and is numbered "27/35". Image size: 5.75" x 9.75". Sheet size: 10" x 14".